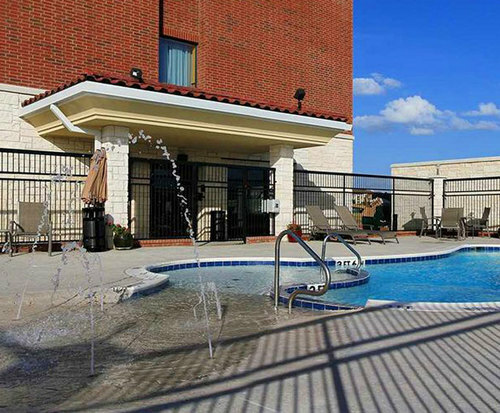 With Lake Lewisville only four miles away, the Hampton Inn & Suites Dallas/Lewisville-Vista Ridge Mall, Texas, is the ideal lodging choice for your next trip. 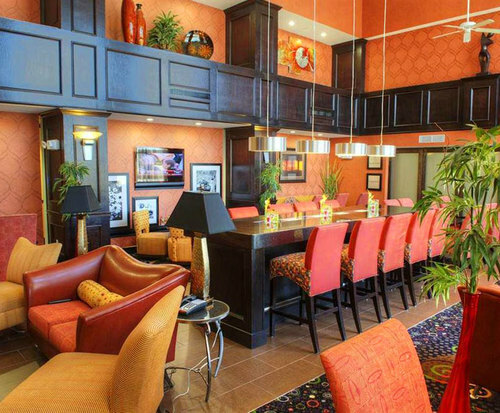 The hotel features a fitness center, pool, hot continental breakfast and car rental desk for your convenience. You can shop to your heart's desire at Vista Ridge Mall, only a half mile away, or delve into some great American history at the Peters Colony, located 5.6 miles from the hotel. Start your day the right way with a delicious hot continental breakfast. After all, breakfast is the most important meal of the day, and Hampton Inn & Suites believes it guests should always have a delicious warm breakfast. Once you have finished your breakfast, you can relax in the pool or work up a sweat at the provided fitness center, which provides all kinds of equipment. When you are ready to go out for the evening, you can either travel in your car or rent one of their cars at the car rental desk. 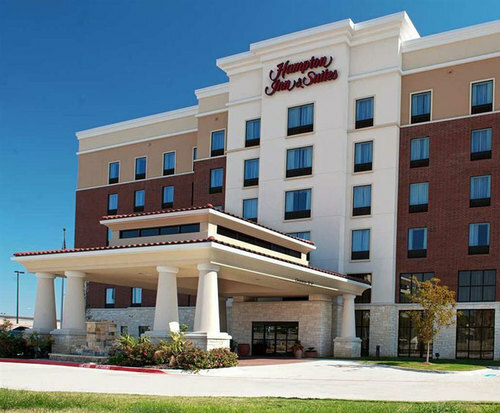 The Hampton Inn & Suites Dallas/Lewisville-Vista Ridge Mall offers a variety of quality amenities in every room for your convenience, including a coffee maker, iron, refrigerator, microwave, sleeper sofa, high-speed internet and cable television with Pay Per View as an available option. Located less than a half mile from the hotel are some outstanding dining choices, such as BJ's Restaurant & Brewhouse, Logan's Roadhouse and Abuelo's Mexican Food Embassy. Also, less than a half mile from the hotel is the Vista Ridge Mall. Another shopping option is the Stampede Sports Arena, located 13 miles away.